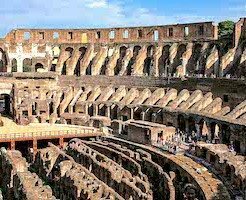 Visit the underground chambers of the Colosseum with Through Eternity, walk the stairs up to the third level of the famous Roman amphitheater that could host more than 50,000 people. 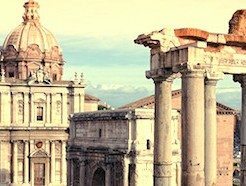 Bus Tours in Rome are a convient way of being able to get around Rome to see all the main attractions. You are allowed to hop on and hop at the buses regular stops.